Precision for Medicine said it has acquired machine learning-based technology developer SimplicityBio for an undisclosed price, in a deal that will enable the buyer to add AI to its QuartzBio multiomic data integration and informatics platform. By adding an AI engine to QuartzBio, Precision for Medicine said, it can enhance its biomarker-guided drug development capabilities for clients by allowing them to maximize the value and utility of biomarker data generated through clinical trials. SimplicityBio's AI technology was developed at the Swiss university Haute Ecole d'Ingénierie et de Gestion du Canton de Vaud (HEIG-VD), with early adoption by businesses. The AI tech is designed to uncover novel combinations of biomarkers using diverse data streams, through a multiomic agnostic approach. Among clients listed by Monthey, Switzerland-based SimplicityBio on its website are Belgian-based biotech UCB; and two diagnostics developers, French-based bioMérieux and Minomic International, which is based in Sydney. SimplicityBio says its AI-based algorithms have been used extensively in development of complex multiomic signatures, and have been the subject of published scientific research on the use of artificial intelligence for biomarker assessment. SimplicityBio is also a founding and current board member of the Alliance for Artificial Intelligence in Healthcare, a global advocacy organization focused on enabling the advancement and use of artificial intelligence in healthcare. QuartzBio is designed to accelerate harmonization and organization of multiple data streams—data sets consisting of tens of millions of data points from multiple labs covering diverse assay types—into actionable, integrated sets across all 'omics and clinical information. Combining QuartzBio and SimplicityBio’s technologies will allow users to access complete multiomic data—including genomic, transcriptomic, proteomic, and flow cytometry data– in real time to inform on-trial decisions. According to Precision for Medicine, QuartzBio users who add SimplicityBio's AI analytics platform can explore AI-derived signatures seamlessly across integrated 'omic and clinical data sets, then evaluate the output in an intuitive, interpretable, interactive, and secure manner. Using that actionable data, Precision for Medicine added, will benefit clients by offering more comprehensive disease mechanism understanding, drug target discovery, advanced biomarker identification, patient stratification, and drug repositioning. 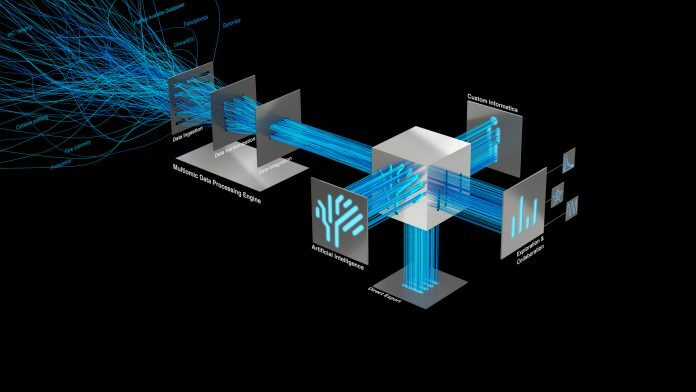 “Integrating our industry-leading multiomics data processing and harmonization capabilities with proven artificial intelligence analytical tools is truly unique in the marketplace and allows us to offer an unrivaled solution for our biopharmaceutical clients,” Precision for Medicine President Chad Clark said in a statement. Precision for Medicine is part of Precision Medicine Group, which employs more than 1,800 people in 30 locations in the US, Canada, and Europe. “Joining Precision for Medicine and integrating our AI algorithms into QuartzBio is a giant leap forward for our customers and industry, as multiomic data grows in quantity and complexity,” added SimplicityBio CEO and co-founder Matthew Hall.